This is a great book! I haven't read it in years but would love to again. My favorites of hers are the Mark of the Lion series. They are AMAZING! Wow, you've never read any others??? I think you'd love her historicals. They are amazingly powerful. Atonement Child is one of my fave books of hers too, though. :-) I'm glad you enjoyed it. I thought she handled the subject well. Oh I adore Francine Rivers! Isn't she coming out with a new book soon? Surprise, surprise. I thought this was a new release. LOL! I'll definitely be checking out other books by Francine Rivers. Thanks for the recommendation. This is too funny. Am I the only one who hasn't read her books before this one? BTW, this post was late today because I scheduled for tomorrow by mistake. I caught the error, and sent it out into cyberspace. I thought this one was new. 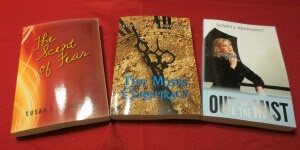 If you find out about a new release, please let me know. Francine's new book is set to release in March. I'm biting my nails for it, and can guarentee I'll be one of the first in line to purchase it! Mark of the Lion series is VERY good... so is Redeeming Love... and And the Shofar Blew... OH and the Scarlet Thread is really good too! Can you tell I'm a Francine River's fan?? I'm glad I finally read one of her books. Now, I know why she's so popular. Oh wow. Yes, this was a great book!! Also check out her Mark of the Lion series ... Love.it.to.death. I really need to get aquainted with this author. i hear her name all over the place, but yet to read her work. LOL! How about "love it to life?" I try to read a book every 1-2 weeks. Thanks for the recommendation. Actually, I thought it contained more suspense than tear-jerkiness (how's that for an expression). BTW, I'd love to comment on your blog and a number of others, but can't with the format your running. If you used the format I have (pop-up window), I'd be able to comment. 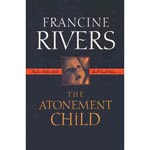 This was my first Francine Rivers book. I'd like to read more of her work.